Amanda M. Chaves - Massachusetts Municipal Litigation Lawyer - Pierce Davis & Perritano LLP. 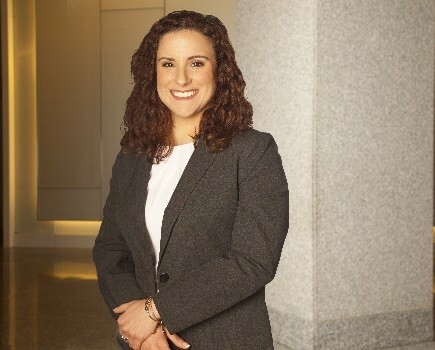 Amanda Chaves is an Associate with Pierce Davis & Perritano LLP. Her practice primarily focuses on litigation and trial advocacy in defense of cities, towns, and other public employers in Massachusetts State and Federal Court. Prior to joining Pierce Davis & Perritano LLP, Ms. Chaves was an Assistant District Attorney in the Cape & Islands District Attorney’s Office. She gained significant litigation experience prosecuting criminal defendants in District Court. Ms. Chaves has managed criminal cases at all stages of litigation from investigation and discovery through pre-trial motions to jury and bench trials. Ms. Chaves received her Juris Doctor from Suffolk University Law School in 2013. As a law student, Ms. Chaves participated in the Moot Court Honor Board and Suffolk Journal of Trial & Appellate Advocacy. She also participated in the Suffolk Prosecutors Clinic. Prior to attending law school, Ms. Chaves served as the Assistant Director of Constituent & Legislative Affairs to Massachusetts State Senator Marc R. Pacheco.